For us Wear What Matters is more than a campaign or slogan, it is an opportunity to invite others into the conversation about what matters around the globe. At Connect Global, the things that matter most to us are the people we encounter, lives being changed, and the tangible results of showing love to our neighbors around the world. We invite you to Wear What Matters and join the conversation. 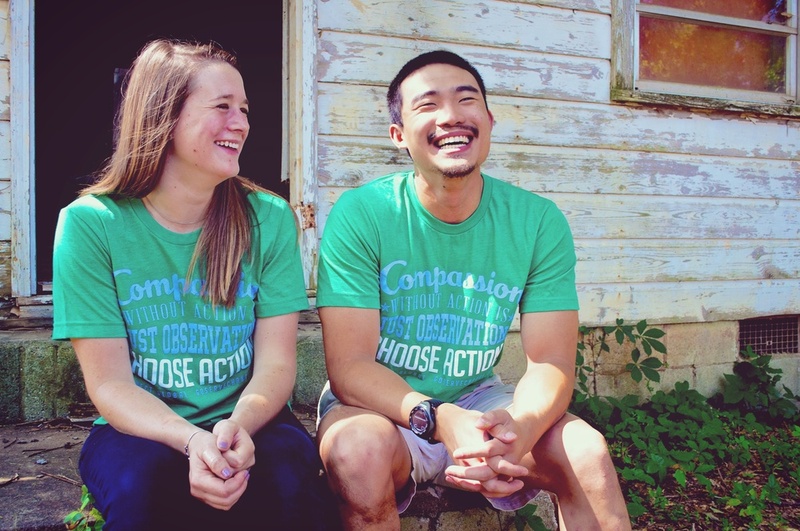 The 'COMPASSION' shirt represents our desire to not just be sideline observers. We jump into the fray and make a difference anywhere we can. "COMPASSION WITHOUT ACTION IS JUST OBSERVATION - CHOOSE ACTION." Proceeds from each shirt sold go towards our ongoing projects throughout the year. We are so glad that you have chosen to show your support by being a part of Wear What Matters. If you would like to make a separate donation towards our efforts, please visit the link below. Thank You. This Shirt is a limited edition, short run t shirt designed for you to collect and show the world that you are called To All Nations. Share with us what you are passionate about and tag us to be featured & don't forget to add a photo of your new shirt!